Written by the Museum’s curator Ken MacLennan, A Brief History is the first book-length narrative history of Pleasanton to be published in over twenty years. MacLennan will be on hand at the reception to sign copies of the book and talk about the research and writing process. Pleasanton, California: A Brief History surveys the history of the city and its environs from the eve of the Spanish invasion of California to the turn of the 21st century. 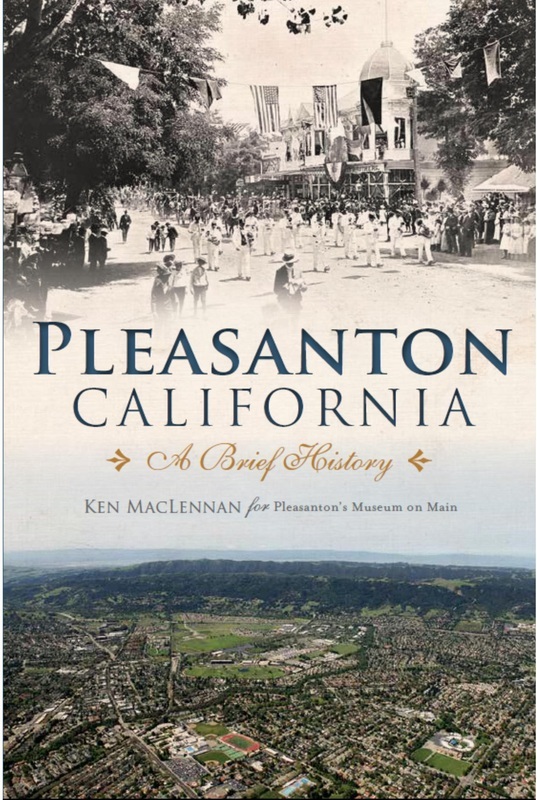 Drawing on newspapers, maps, census data, City Council records, and other original documents as well as previous scholarship and historical accounts, MacLennan has woven a narrative that illustrates the broad arc of Pleasanton’s development with a wide variety of details and anecdotes. Get your signed copy at the Museum on Main store now!